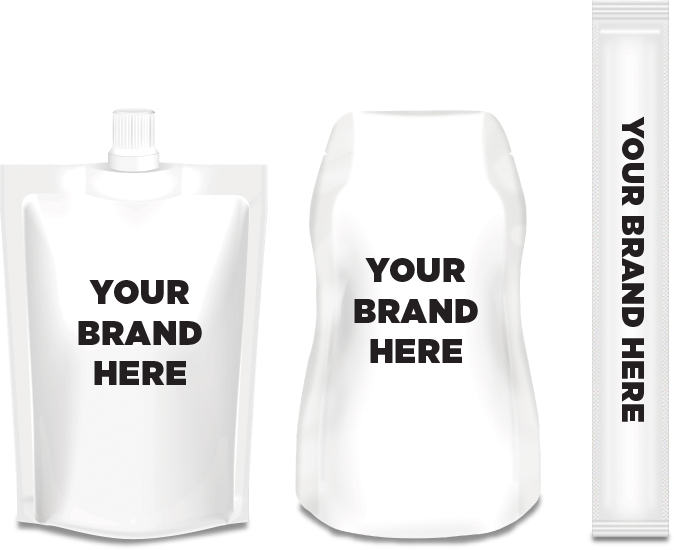 We are specialists in the development and manufacturing of brand-named and private label beverage pouches. The spouted pouch market is over $1 billion annually and expected to double over the next 10 years. * Stand-up pouches are the fastest growing segment of the flexible packaging market and use 87% less plastic compared to the same size rigid bottle.^ Get the products consumers are looking for! * Source: Transparent Market Research, Spout Pouch Market report preview. https://www.transparencymarketresearch.com/spout-pouch-market.html. Apr 2018. ^ Source: 2018 Packaging Outlook Report, featured in Packaging Strategies NEWS. March 1, 2018. Pouchfill Packaging, LLC, Industry Facts. http://www.pouchfillpkg.com/facts/ Feb 5, 2019. © 2018 SLUSH PUPPIE AND ICEE OF AMERICA, INC. USED WITH PERMISSION FROM THE ICEE COMPANY. WELCH'S FOODS, INC., USED UNDER LICENSE. © 2018 WELCH'S.